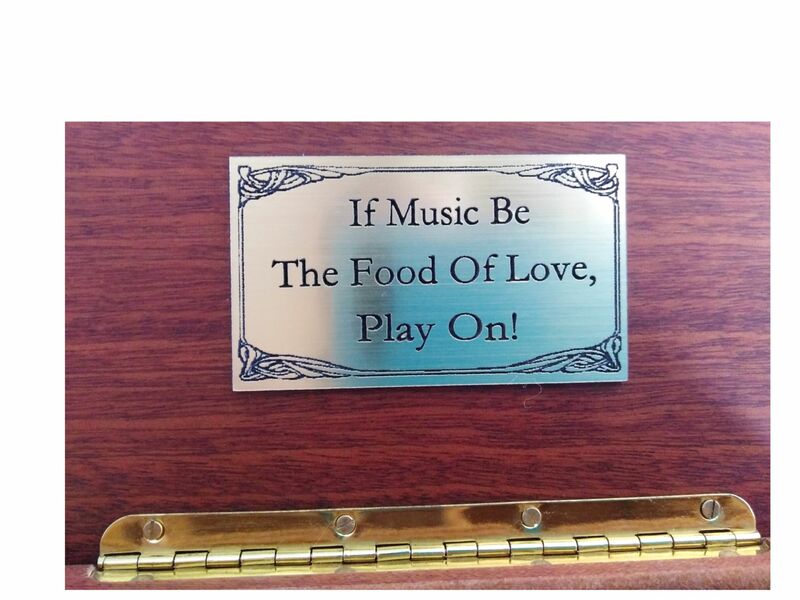 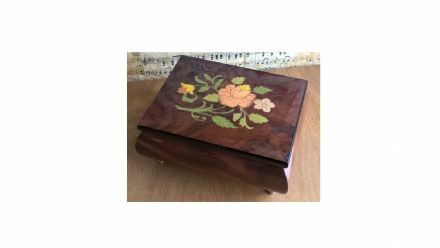 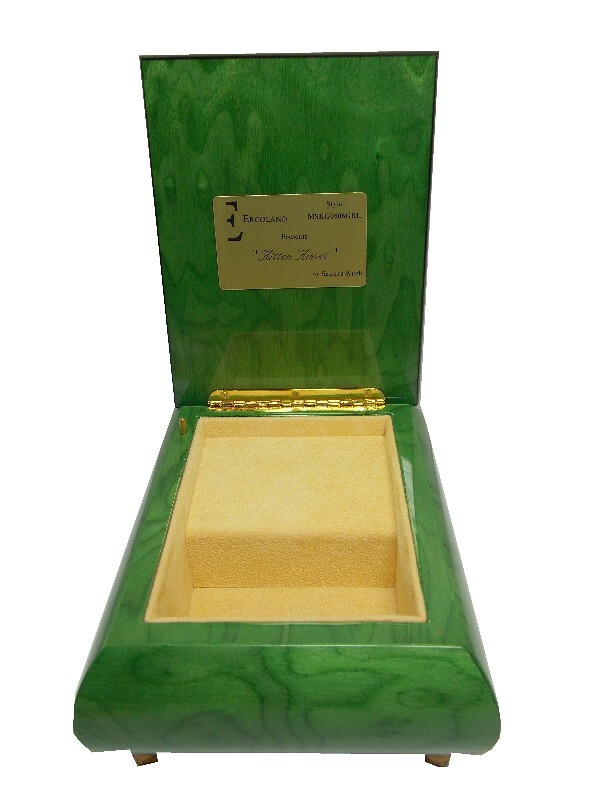 This fine wooden musical jewellery box is hand made, finished in a green veneers, and coated in a gloss lacquer. 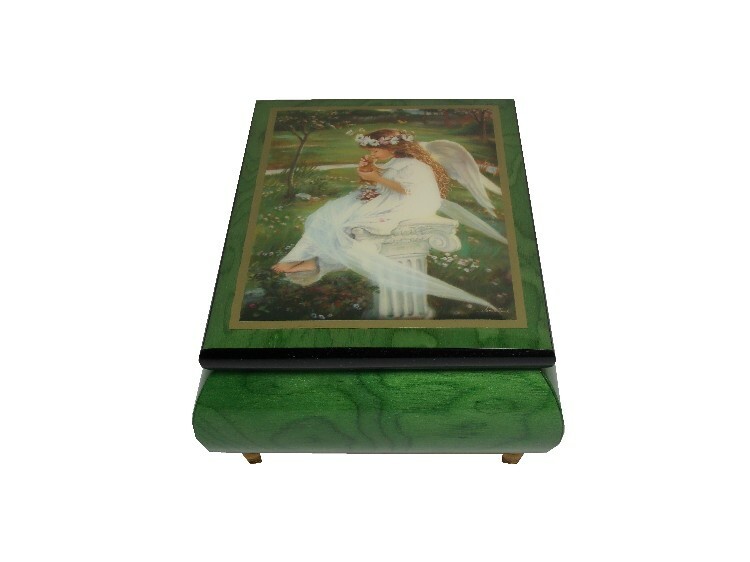 The marquetry set into the lid is of a unique artwork, showing a young girl with her kitten. 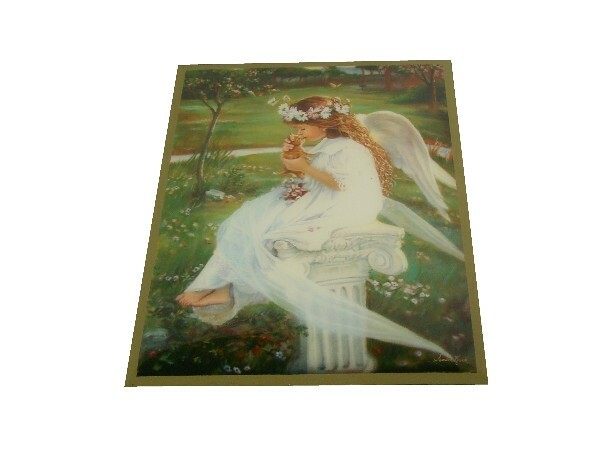 This beautiful box is an ideal gift for a loved one.